Alexandria, VA (October 26, 2007) - A favorite destination for motorcoach tours, Alexandria&apos;s historic Old Town has expanded its convenient parking program for motorcoaches to ease the challenge of where to park in this picturesque destination, both day and night. The George Washington Masonic National Memorial, a landmark in Alexandria for nearly 100 years and a tourist attraction in its own right, in partnership with the Alexandria Convention & Visitors Association (ACVA), has been offering off-street, long-term parking facilities on-site in the Memorial&apos;s 24-space motorcoach parking lot since 2006. Now that program has been expanded to include parking for motorcoaches on day trips to Alexandria. "We are very pleased that the George Washington Masonic National Memorial has been able to extend its parking service to motorcoaches making daytrips to our City," said Stephanie Brown, ACVA president & CEO. "This additional daytime service will help to ease the congestion that may occur in the heart of Old Town Alexandria during peak tourist seasons. This program will be convenient for motorcoaches to use and for the benefit of everyone, both visitors and Alexandria residents alike." Parking permits for both types of motorcoach parking are available through the Ramsay House Visitors Center, 221 King Street. The fee for a daytime permit is $10; the fee to park overnight is $35. Revenue generated from the permits is used to maintain parking facilities at the Memorial and for administration of the program by the ACVA. The number and length of passes purchased by a company are limited only by the number of parking spaces available. Permit applications may be submitted by service providers (hotels, attractions, restaurants) or tour and motorcoach companies. The requesting business may apply online for a permit online or by phone at 800-388-9119. Applications may be paid for by credit card, check or cash. A permit will not be issued until payment in full has been received. Once payment is received, the permit will be mailed if the arrival date exceeds five business days, or picked up at the Ramsay House Visitors Center upon arrival in Alexandria. Applications also will be accepted for "same day" requests by service providers. Complete procedural details for the application process are available online. For more information about the program itself, contact Renee Cardone at 703-838-4200, ext. 204. The Alexandria Convention & Visitors Association is a public-private membership association whose mission is to generate tourism and conventions that increase revenues and promote the City of Alexandria and its assets. 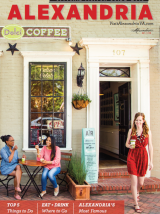 Alexandria&apos;s tourism industry is a major contributor to the economic health of the City of Alexandria. In FY 2007, tourism spending by overnight visitors was $587 million, generating nearly $14 million in direct taxes to the City.